Campbell Campbell Edwards & Conroy, P.C. participates in this year’s Massachusetts Defense Lawyers Association (MassDLA) Community Service Event – Campbell Conroy & O'Neil, P.C. Campbell Campbell Edwards & Conroy, P.C. participated in this year’s Massachusetts Defense Lawyers Association (MassDLA) Community Service Event held on March 2, 2018 at the Pine Street Inn. The MassDLA volunteers fed dinner to over 200 homeless individuals. This event was organized by Associate and MassDLA Member Katherine M. Milligan. 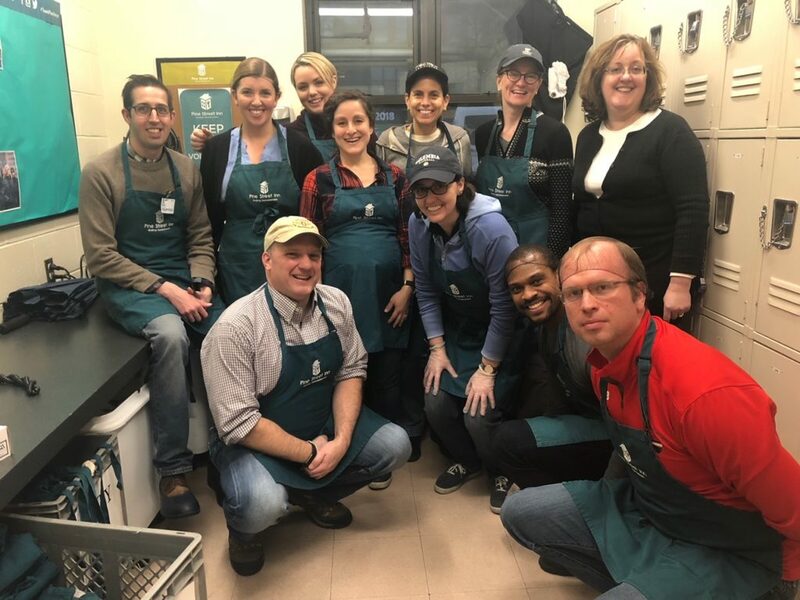 Board of Directors Member and MassDLA President Michelle I. Schaffer, Associate and MassDLA Member Jacob J. Lantry and Associate Joanna LeRoy also took part in this year’s MassDLA Community Service Event.